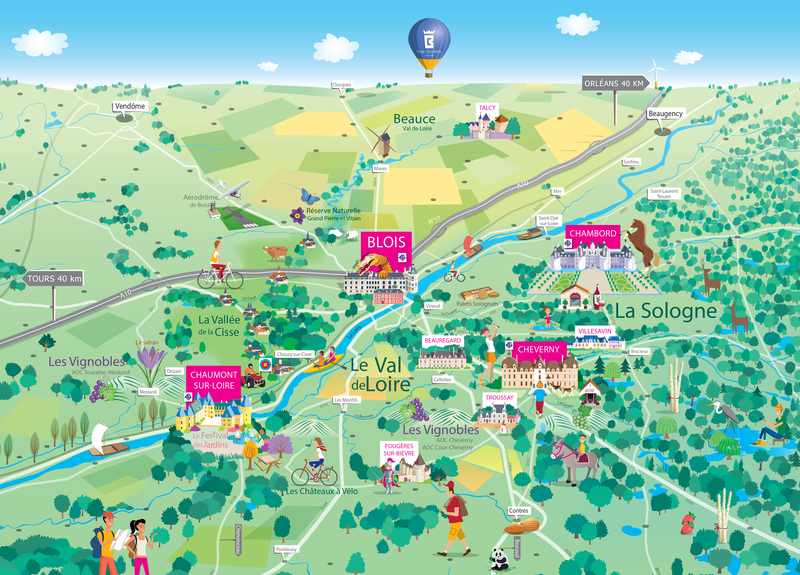 In total, eight main landscape areas can be seen in the Loir-et-Cher: the Sologne, the Beauce, the Perche, the borders of Touraine, the borders of Berry, the Loire Valley, the Loir Valley (Loir without an 'e') and the Cher valley. On one of the longest rivers in western Europe, the Loire Valley has been a UNESCO World Heritage since 2000. In Loir-et-Cher, from Lestiou to Rilly sur Loire, the river offers a remarkable landscape and a vibrant cultural diversity to be enjoyed in any season. Canoe trips, traditional boat rides and rowing on the water, or bike rides, walks and horse riding along the banks - all are perfect for getting the best of the river. Before you head out to go fishing, swimming, boating and all the other holiday ideas that might take your fancy, please do take a moment to look through the rules and by-laws governing the safe use of the waterways and the banks. This will ensure you get the maximum benefit in complete safety, without treading on anyone's toes! Fishing in the Loire is allowed in the whole département, from Saint-Laurent-Nouan to Rilly-sur-Loire. Anglers must be in possession of a valid fishing card. Only salmon fishing is totally prohibited on the Loire, and all techniques are possible. Still fishing and feeder-tip for all cyprinids (white fish). Carp fishing by day at all spots and at night on certain sections of the Loire (info from the Federation). Predator fishing: Perch, pike, catfish... from a boat or accessible spots on the banks, all techniques (live bait, artificial lures, drop shot etc.). Among others, perch, catfish, pike, chub, roach, bream, ablette, common carp, stud and other mulets. All boating is at the user's own risk. A local authority law dated 31 July 1975 regulates sailing and motor boats. While powered boats are allowed at limited speed, ski jets are prohibited. Launching can be carried out at all public access points unless otherwise indicated. Users must take particular care not to degrade the environment and respect other users of the river (fishermen, recreational water activities and so on). The various bridges, as well as low water levels can make navigation difficult for stretches of several kilometres. This is why we can't offer river cruises over several days. According to the local authority law of July 10, 1970, swimming is unfortunately prohibited in the Loire for safety reasons in the entire département. However, you'll find sandy beaches along the river for sunbathing. There are also picnic places with excellent views, such as those located on the left bank between Blois and Saint-Dyé-sur-Loire which give a splendid panorama over the Ménars. The ports are also pleasant places to walk. Take the left bank of the Loire, from the port of Creusille to Blois for a delightful stroll into the city. 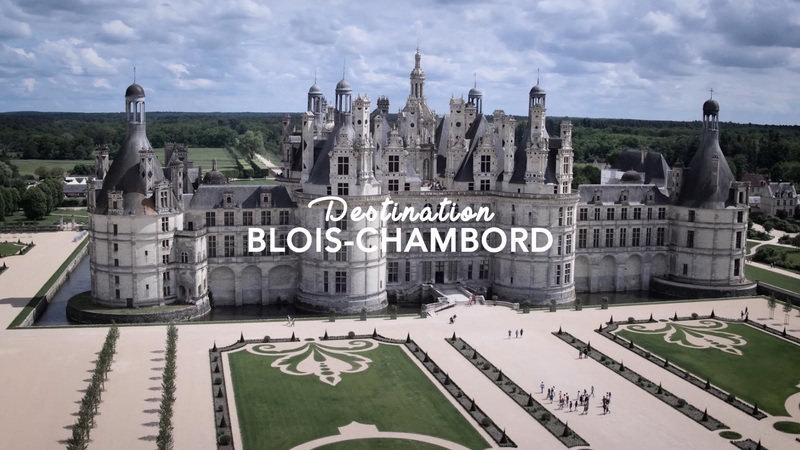 A bike ride along the Châteaux à Vélo) route leads to lots of places with safe swimming in the lakes and rivers of Chambord country. Many different species live around the river, and many are protected. Whatever your leisure activities, respect for the wildlife is essential. As a migratory corridor, the Loire is a temporary home to migratory birds that use the sandy islands to take a long break in their journey. The Tern, and the Little Ringed Plover arrive in April and nest on the sandbanks, then return to spend the winter on the West African coast. Some of these islands are now forbidden to visitors to protect their reproduction. To the south-east, the forest and lakes of Sologne extend across the département, south of the Loiret and north-west of the Cher to cover most of the land between Blois, Orleans and Bourges. The pine forests give way to oaks birches and ferns, as well as traces of the forests of the 19th century, which were abundantly planted with chestnut trees. The soil is particularly acidic, very wet in some places and dry in others. The extraordinarily dense network of ponds and lakes makes it the largest area of wetland of scientific interest in continental Europe. In Sologne, the vast wooded areas, dotted with thousands of ponds and lakes make up the Grande Sologne, which covers most of the area. To the west, from Bracieux to Mur-de-Sologne, the forest gradually opens giving way to cultivated land interspersed with woods, where vines grow particularly well, interwoven with vegetable and other small-scale plots. This is the landscape of Sologne wines. Beauce is the country between Blois and the forest of Marchenoir. Its landscapes are similar to that of the "Great Beauce" or "Beauce Orléanaise" which extends beyond the Marchenoir forest to the north. On the other hand, the Cisse valley, born discreetly from an insignificant fold in open and flattened Beauceronnes expanses, constitutes a particular landscape from Champigny-en-Beauce in right bank and Averdon on the right bank to Averdon on the left bank, where the land use is diversified, up to its confluence with the the Loire Valley west of the forest of Blois, Likewise, to the north, the rolling hills and vales made up of the various tributary valleys of the Loire gives the Beauce a completely different face: this transition between the Loire Valley and Beauce is marked by an enhanced relief and numerous woodland areas.